On Tuesday, the International Red Cross and the UN withdrew their international aid workers from the Yemeni port of Hodeidah, fearing a coming attack by pro-government forces backed by the US, Saudi Arabia and United Arab Emirates (UAE). Independent political analyst Marwa Osman told Radio Sputnik's Loud & Clear that if the Saudi-led coalition closes in on the Houthi-held Hodeidah port, Yemen will be plunged even further into humanitarian disaster. According to UN estimates, some 10,000 Yemenis have been killed and 53,000 have been wounded since the Saudi-led coalition launched its operation was launched in 2015, Sputnik reported. ​"The problem is not with an invasion happening, because it already happened about two weeks ago and it ended in disaster for the UAE militias. All over Arab media you could see the bodies of more than 120 UAE mercenaries that tried to invade Hodeidah," Osman told hosts John Kiriakou and Walter Smolarek. On June 7, Yemeni forces attacked UAE mercenaries with artillery fire in the Saudi Arabian city of Jizan, which lies in the southwest corner of Saudi Arabia, directly north of the border with Yemen. "The issue is the humanitarian catastrophe in Yemen, which has been ongoing for three and a half years now. That is not something new. 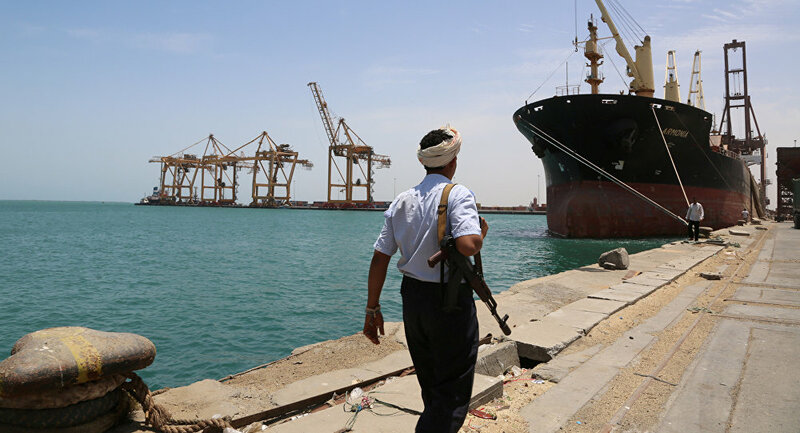 However, it could be further exacerbated if the Hodeidah port is blockaded," Osman explained. More than 70 percent of Yemen's imports, including food and aid shipments, flow through the Hodeidah port, the Independent reported in May. "The situation in Hodeidah is already devastating. An attack on the port would have dire, immediate humanitarian consequences," Salem Jaffer Baobaid, Islamic Relief's deputy country manager based in the port city, said in a statement this week. "People are already literally dying of starvation. The port is the lifeline to much-needed supplies of food and other life-saving resources and any attack would jeopardize the ability of this country to feed itself. We should make no mistake, if the port is out of action, Yemeni citizens will die." According to Abdikadir Mohamud, Yemen director of the aid group Mercy Corps, the aid effort to Hodeidah had slowed even before the fighting reached the city. "Many aid organizations are being forced to leave the city, drivers are refusing to take their trucks there and banks are struggling to transfer funds," Mohamud said in a Tuesday statement to NPR. Yemen has been engulfed in an armed conflict between the government headed by Yemeni President Abd Rabbuh Mansur Hadi and the Houthi movement in the north of the country since 2015. A Saudi-led coalition composed mostly of Arab nations has been carrying out airstrikes against the Houthis upon Hadi's request since March 2015. The US has supported the Saudis by refueling Saudi and UAE aircraft and by providing aerial targeting assistance and intelligence sharing services, according to the Center for Strategic and International Studies. "The American public needs to write to their senators and the representatives about the possibility of a US land invasion in Hodeidah. A UAE and Saudi Arabia invasion — backed by the US — into Hodeidah could cause thousands of Yemeni deaths. And it's not only the people in Hodeidah that would be affected by an invasion. 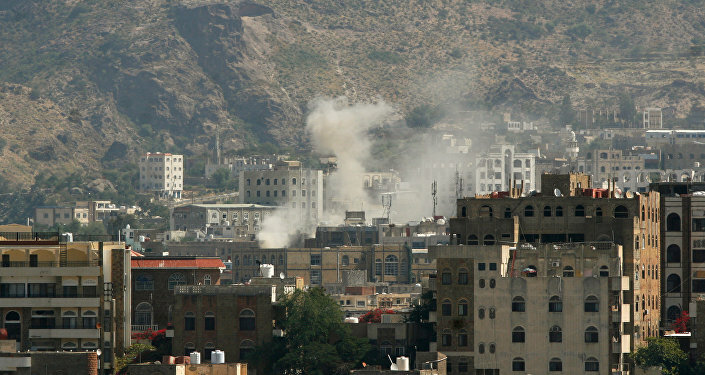 Many other cities in Yemen, especially in the center and north parts, could also be devastated," Osman told Sputnik. On Monday, US Secretary of State Mike Pompeo released the following statement: "The United States is closely following developments in Hodeidah, Yemen. I have spoken with Emirati leaders and made clear our desire to address their security concerns while preserving the free flow of humanitarian aid and life-saving commercial imports." "We expect all parties to honor their commitments to work with the UN Office of the Special Envoy of the Secretary General for Yemen on this issue, support a political process to resolve this conflict, ensure humanitarian access to the Yemeni people, and map a stable political future for Yemen," Pompeo added. In March, a bipartisan group of senators introduced a joint resolution to limit the US president's ability to deploy military forces in places where lawmakers have not voted on a declaration of war, which would force the Pentagon to withdraw its troops from places like Yemen. The bill eventually failed. In May, a New York Times report revealed that US Army Green Berets were at work on the Yemen-Saudi border "doing the Saudi's dirty work," Kiriakou, a veteran intelligence professional, said at the time. Yemen's Socotra: The UAE's "Eighth Emirate"?